Who knew complete randomness could be so much fun? 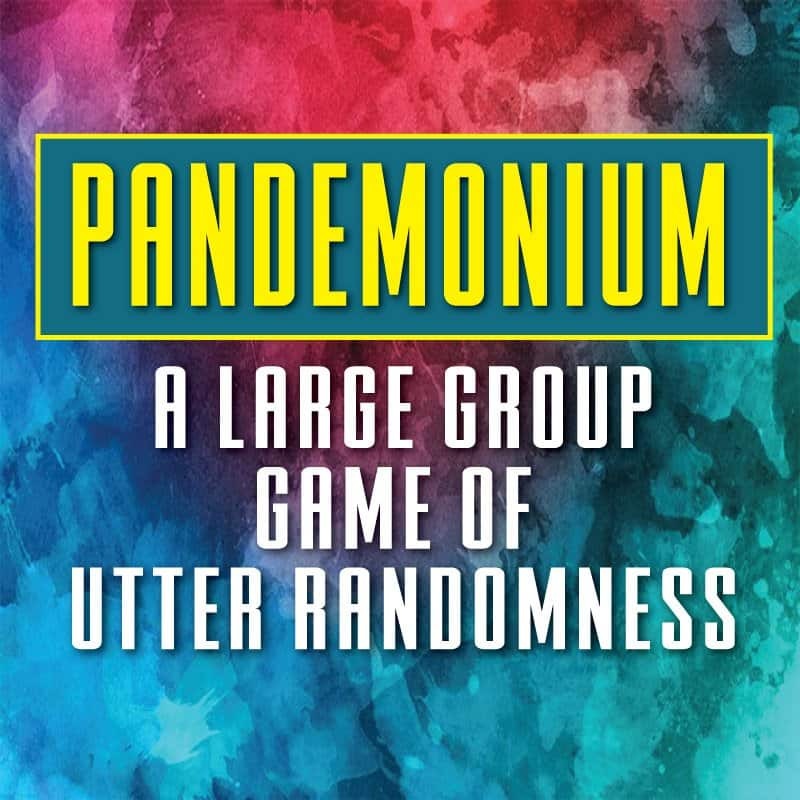 That’s why we created PANDEMONIUM! Players use a Cornucopia of supply items to complete the most random tasks you can imagine. 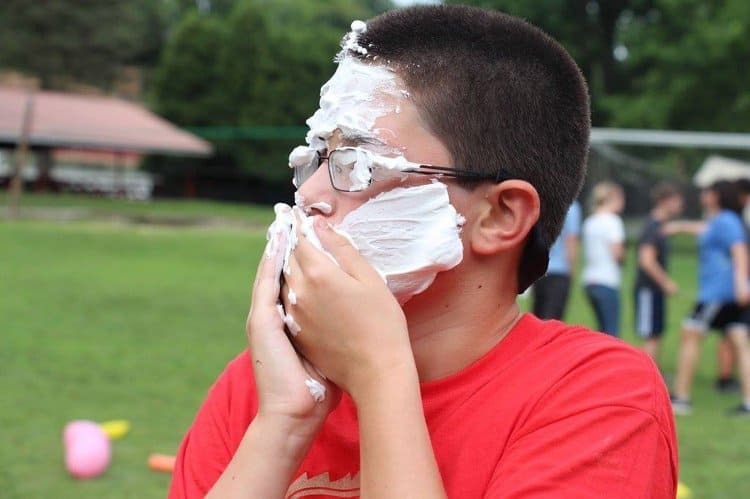 There’s water guns, shaving cream galore, whipped cream pies, bean bags, frisbees, sponges, waterballoons, shoes as telephones, egg tossing, leaves in the hair, kids rolling around on the ground, and much, much more. 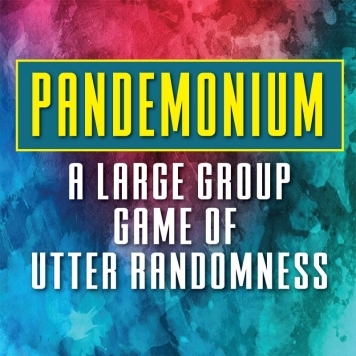 Try it out and experience the PANDEMONIUM! Ever played the game Quelf? If not, you really should. Who knew complete randomness could be so much fun? That’s why we created PANDEMONIUM! 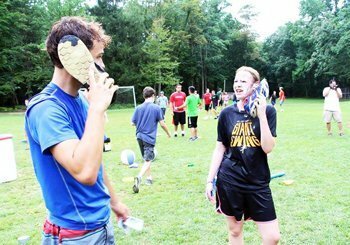 This is an experience your campers won’t soon forget and you can count on them begging to play it year after year. -Find a small rock from the road, place it on the swing and swing it back and forth 10 times. Enjoy your time with this rock. He’s a solid friend. -Write the alphabet on a piece of paper using only your toes to hold the pen. 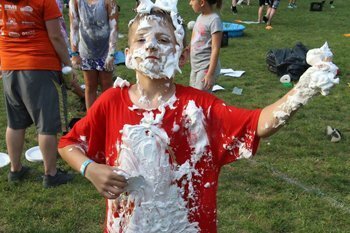 -Put shaving cream all over your face and leave it there for the rest of the game. There are over 204 cards in the deck and a template for you to make your own creative cards. 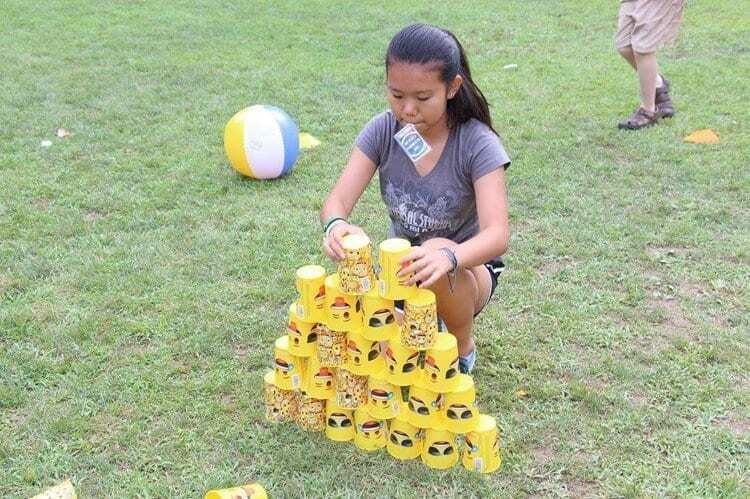 This game is perfect for kids and teens. And your staff will love it as well! 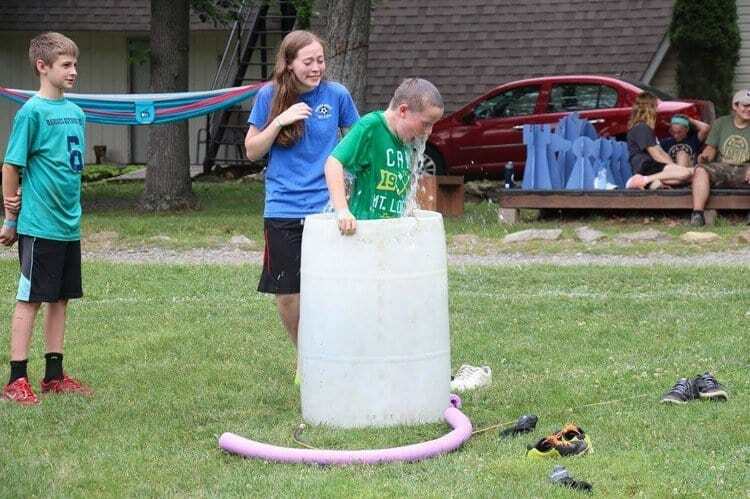 It is designed so that each camper will experience the level of crazy randomness that they want.